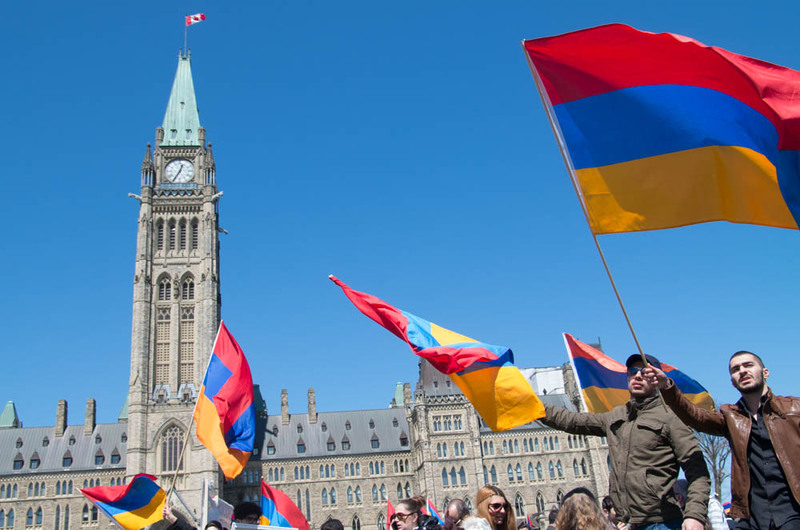 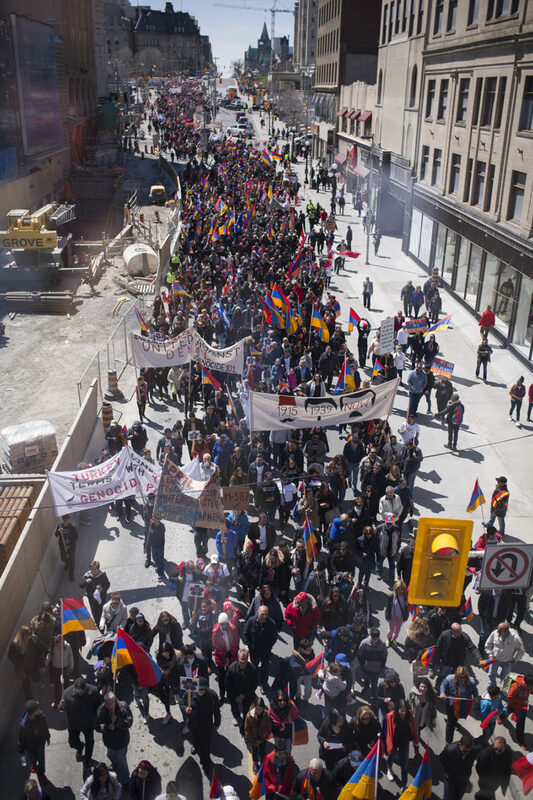 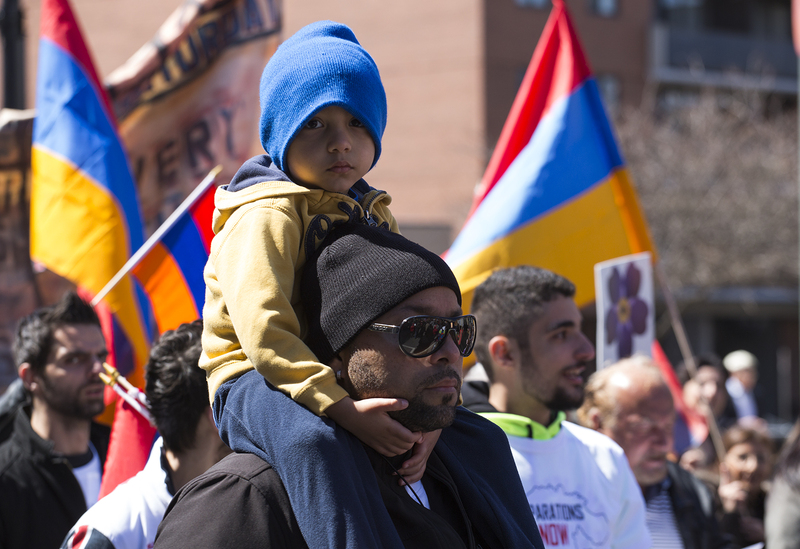 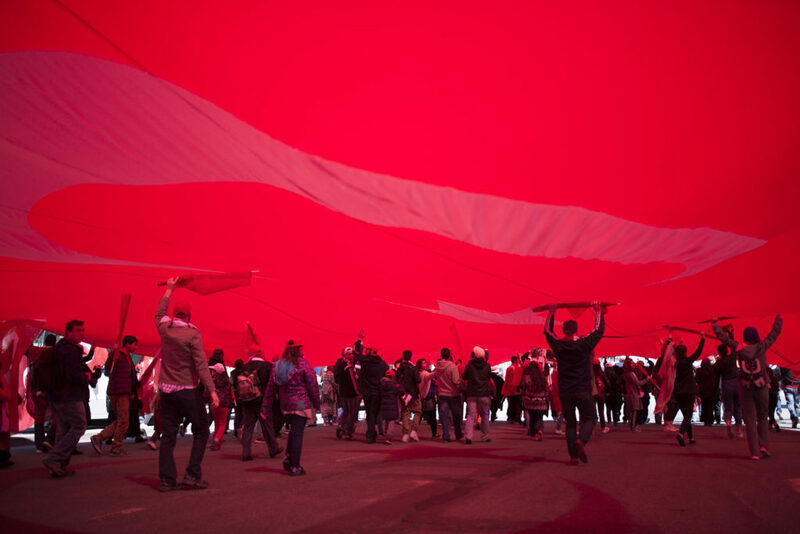 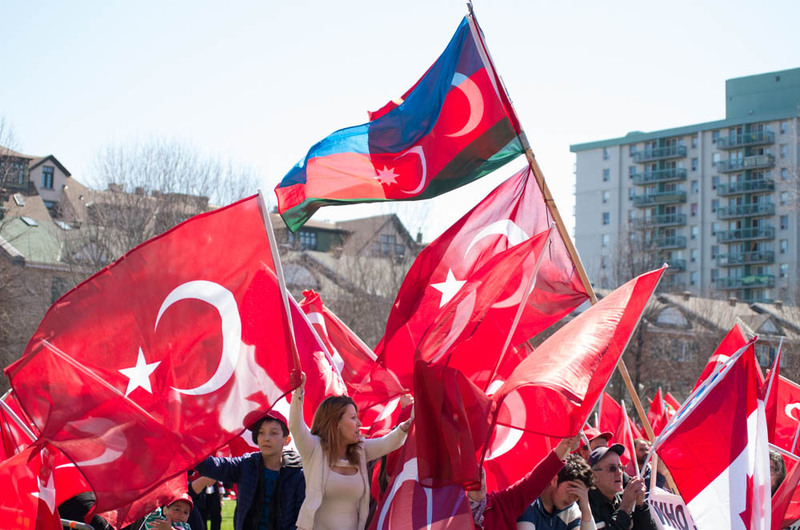 The annual march marking the Armenian genocide of 1915 took place on Sunday, Apr. 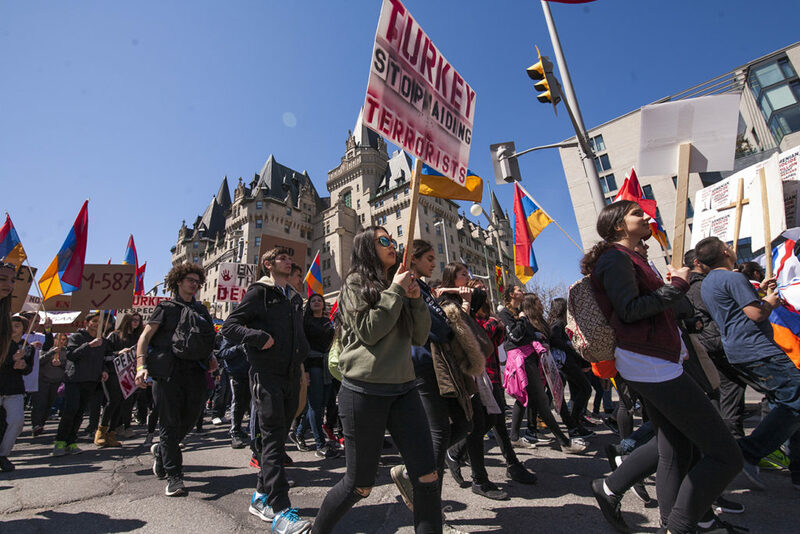 24 2016 with several thousand participants from opposing sides gathering on Parliament Hill before noon. 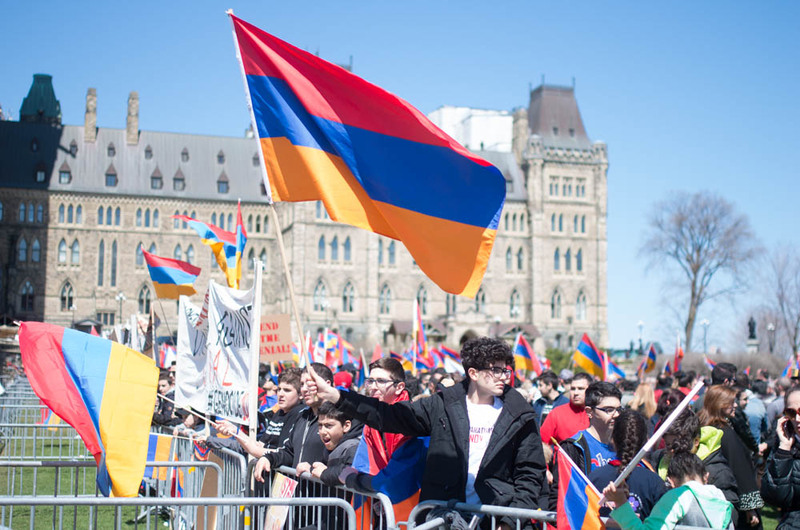 The rally consisted of Armenian supporters on one side of the hill and Turkish on the other, separated by barricades and police. 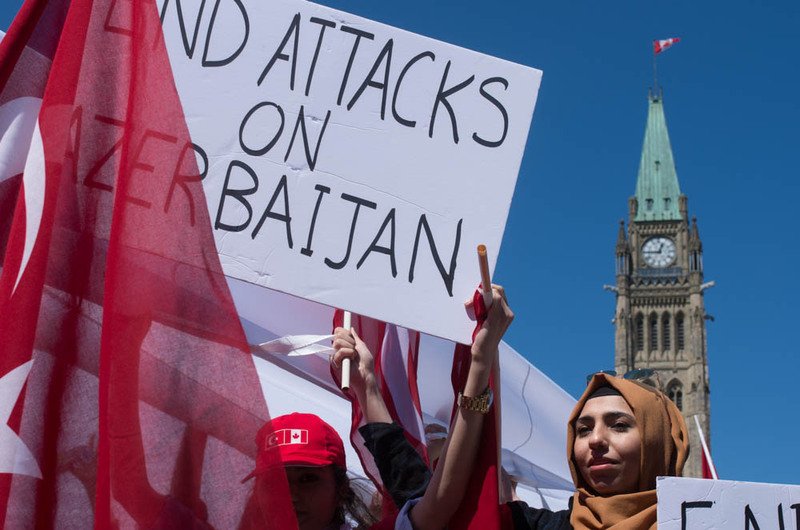 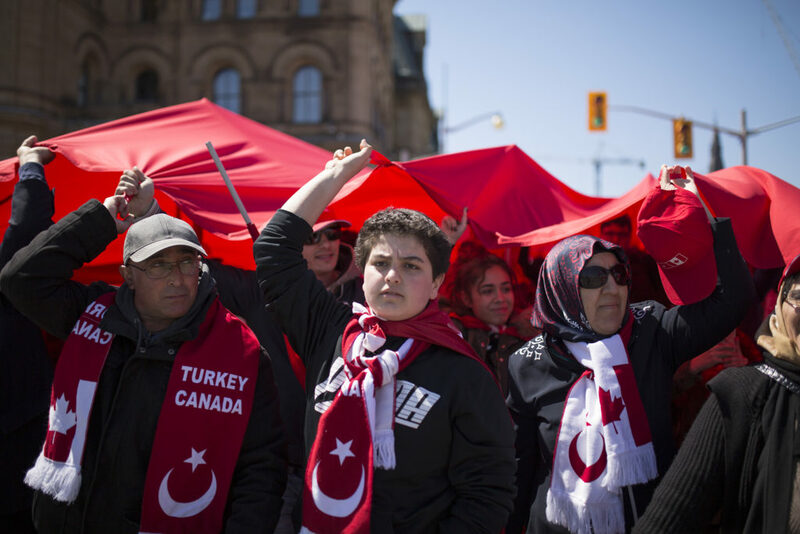 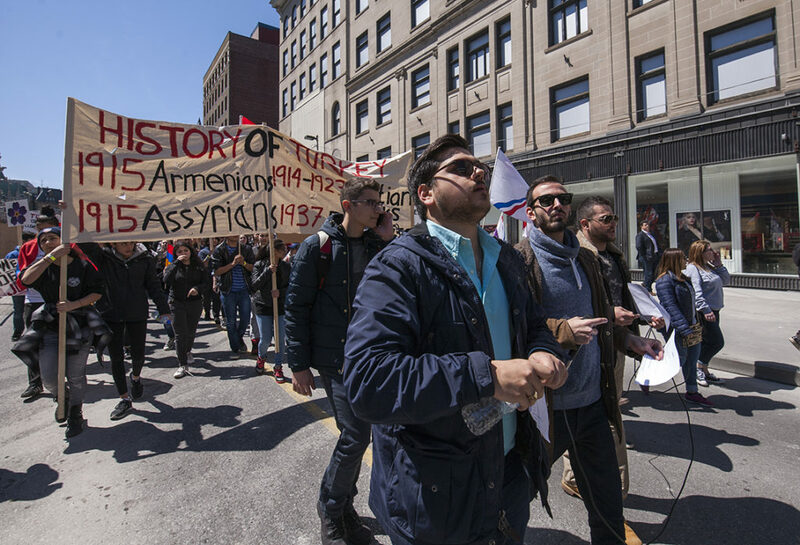 The Turkish side first marched via Rideau Street towards the Turkish Embassy on Wurtemburg Street around 2 P.M., setting up in MacDonald Gardens Park before the Armenian supporters followed a short time after. 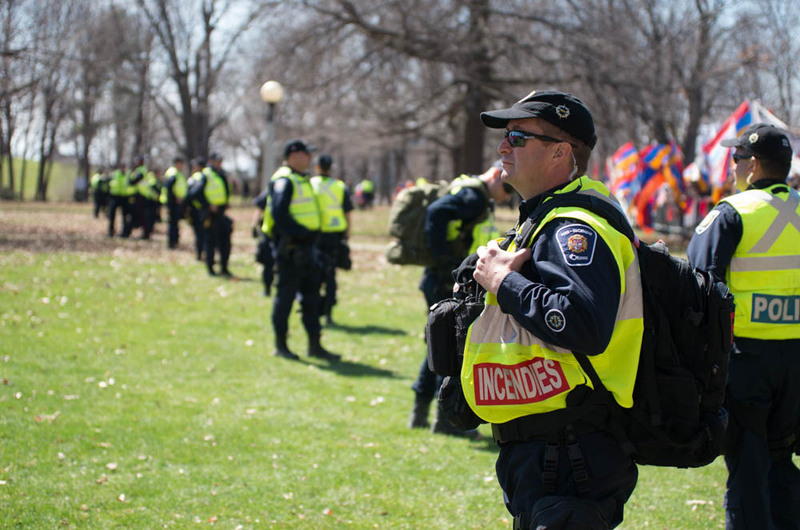 Police and barricades split the park in two with protesters facing off while giving speeches and waving flags.